There are a few filmmakers who are well recognised for their movies. They create a niche for themselves with their uniqueness in making and brilliance in storytelling. Every movie buff, every new comer and most of the actors stay in awe of them and wait to get their chance to act in their movies. Maniratnam is one such filmmaker who is regarded high in every aspect of films. He once made a lot of brilliant movies with very simple yet fascinating kind of story telling. Though he is not in a great form now with the series of flops, his image never tarnished. He is now coming to us with a multistarrer starring STR, Vijay Sethupathi, Aravind Swami, Arun Vijay, Jyothika and many other well known actors of South in the name of Nawaab. Let’s see how it works on us as it is released into theatres today. Bhupathi Reddy (Prakash Raj) is a powerful force in political circles and he commands his region. He is attacked by two goons in Police uniform where he and his wife (Jayasudha) succumb to heavy head injuries. 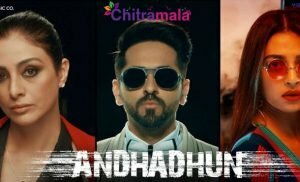 His three sons (Aravind Swamy, STR and Arun Vijay) together search for the attackers and zeroes on Chinarajappa and kill his son in law. On his discharge from hospital, Bhupathi Reddy settles his problems with Chinarajappa and turns him into a friend and reveals his wife about the mind behind the attack as of one of his sons. His wife gets disturbed by that and fears Bhupathi Reddy’s reaction for that and suddenly Bhupathi Reddy passes away in his sleep. Who is the mastermind of that attack? Who takes his position out of his three sons? Prakash Raj as Bhupathi Reddy is nice. He delivers a splendid performance in this role. Arvind Swamy as Varadha is very intense. He yet again proves his mettle and his acting capabilities in this Maniratnam directorial. STR impresses with his straightforward and fearless Rudhra. Vijay Sethupathi brings a lot of fun vibes to the film. His character is full of him and we can’t imagine anyone in that role. Jayasudha is superb as loving mother and a wife. Jyothika is fine. Aishwarya Rajesh is good. Aditi Rao Hydari is a surprise. All other characters are good in their roles. The story of Nawaab is good. The screenplay is engaging and dialogues are good. Songs composed by A R Rahman are nice and catchy. Though it is a dubbed movie, lyrics are written convincingly by Sirivennela Seetharama sastry. 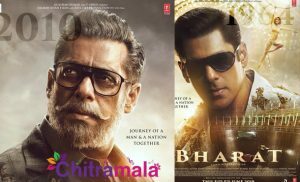 Rahman unleashes his magic in composing background score. Cinematography by Santosh Sivan is superb. Editing is fine. Stunts and action sequences are composed well. Production values are apt. Nawaab is a story of three brothers who try to claim his father’s position. First half takes to setup the characters and premise and it is done interestingly with the help of superb score and visuals. Second half is where the actual story runs. It has a lot of deceits and a lot of twists and hell lot of drama. 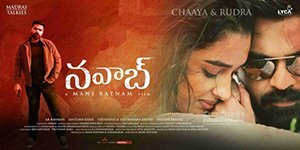 Mani ratnam has done fantastic work in terms of script and its execution but second half and it’s drama might be tiresome for some of our Telugu audience. He has done one of his career best works after a long time with this huge casting. Whenever a good script comes in way of great actors they given their best to make the well written characters come alive. Almost each and every character has two shades and every actor did their best to give the required performance. To sum up, Nawaab is best of Mani ratnam in recent times.